Resealing of glazed units for waterproofing. We offer a high quality cleaning and maintenance service, including conservatory glass replacement and conservatory insulation, for ALL types and sizes of conservatories. We are based in Thame, Oxfordshire and were established over 6 years ago and have built a reputation for excellence. 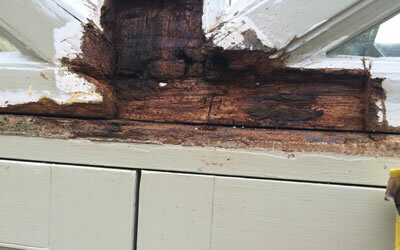 We provide a quick response with a FREE Survey and Quote. 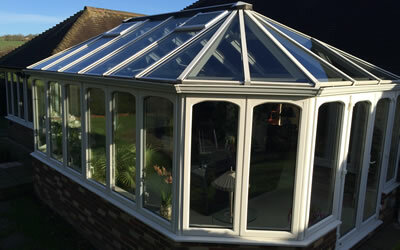 Our conservatory services cover Oxfordshire, Buckinghamshire, Thames Valley and the Midlands area. "The conservatory looks like new. When we first bought the house I thought we would have to replace the whole conservatory as it looked an eye sore. Now following that cleaning it is a real asset to the house and I can actually use it"
"Thanks for the solar units you installed in our conservatory last year. I'm really amazed at how much more we now use the conservatory and it has become a great area for all the family." "The change in the conservatory is incredible. We often only could use it during the evenings and in Autumn and Spring. Now we actually can use it all year round. I don't know why we didn't have these solar controlled units installed before!" "Thanks for finding and mending the leak. I could never have replaced the lead flashing or new guttering and yet you did it quickly and provided a very professional service." 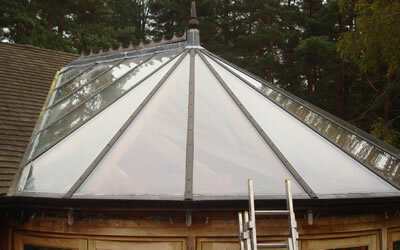 "As a new arrival to Henley on Thames, I went online when needing some work done on my glass roof. On first impressions, Dan scored highly with his prompt visit to the house and his technical knowledge that he used to clearly explain the options available, enabling me to make the correct choice in my situation. The work was done to a faultless standard,started and finished on time, on budget, and he and his crew were just pleasant people to have around. My choice for any future glass work I might need."